Any social media user, no matter what their level, can use add-ons and plug-ins to save time and create more opportunity. Some of the following listings work for specific sites, while others have more general and universal applications. Check them out. They just might be useful and increase your social media access. StumbleUpon is great for finding websites that match your interests, whether you seek dog-training advice or want to share interests with the Flat Earth society. You simply click the Stumble button to see the best websites for what you are already looking at. With over 500 topics to choose from, your recommendations get better and better the more you use it. This lets you see if what you are looking at has already been added to Digg. If it hasn’t, and you want to share it, no problem. Add it to Digg with one click. It’s that easy. Be the first to share a story on Digg. Enjoy sites like FaceBook, MySpace, Digg, Gmail and Twitter? Then you’ll love Shareaholic. 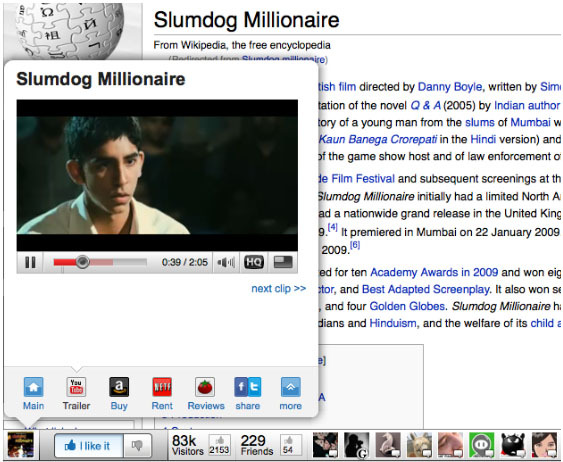 The extension lets you quickly share, bookmark and email web pages through most social networking and bookmarking sites. It’s the ultimate add on for the link sharing junkie. If you like it, why keep it to yourself? Share it with the world and keep the fire going. The extension was good enough to win the Extend Firefox contest. The ultimate time saver for building powerful social media accounts, this site is the best kept secret of the world’s top Diggers, Stumblers, Navigators. The secret is to be the first to submit stories that are already popular on other sites. 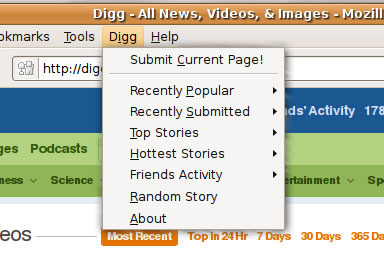 This lets you browse sites like Reddit to find good stories that have already been submitted, and then be the first to submit them to Digg. It’s a great tool for turning the truth into a virus. Formerly Blueorganizer, Glue lets you connect with friends around things you visit, improving the social nature of the web. Browse popular sites on books, music, wine, restaurants and other popular features on the web and the Glue bar appears on the current page to show you friends who looked at the same site. Friends can share their thoughts, creating every website into gossip central. Click on the stories that give you the most buzz, and the most popular may appear on Yahoo’s home page. You can impact what millions see around the world, just by sharing the buzz. This Mozilla Firefox add on helps simplify how people interact with social media sites like Twitter, FriendFeed, MySpace and FaceBook. It makes sharing the world as easy as a click of the button. There are plenty of others. Admittedly, this list only grazes the surface, simply because there are so many out there. The Internet gets more interconnected the more people use it and share what they’ve discovered. It can be a great launching mechanism for independent movies, books or even a presidential career. Thanks to social media links, the world will never be the same. Great plugins, thanks Ben. I’d like to add a few notables of my own. If anyone else has some favs, please post in comments. URL Shortner – This lets you use over 100 different shorteners. Linkedin toolbar– For the Linkedin crowed. If you need even more, try Mashable’s monster list.